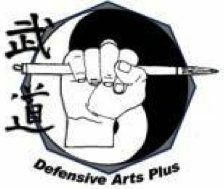 At Defensive arts Plus, you will gain the benefit of the experience of our three primary instructors, spanning many martial arts and many years of experience. This experience isn’t taught as a disparate collection of unrelated arts, it’s united under a single curriculum and system of philosophies. We teach the principles behind the martial arts, not just the techniques, improving your ability for spontaneous and instinctive reactions. I would like to make it clear, what I mean when I say the phrase “True Self Defense”. This isn’t intended as an ego-based statement about the superiority of what we study. There is innate value in all martial arts studies, and I don’t purport to be the font of all wisdom. True self defense is a phrase, which I believe originated from Mitose Sensei in his second book. It is a reference to the philosophical idea that true self defense involves no physical conflict. It’s being a person who’s nice enough that others don’t want to harm. It’s also awareness of your surrounding and avoiding unnecessarily endangering oneself, like walking through a bad neighborhood at night. It also means protecting one self from “internal dangers”, such as laziness, and unhealthy mental behavior or imbalances. It’s taking a holistic interest in one’s well being. If you read Mitose Sensei’s second book, you’ll find there is little reference to martial arts in there, and instead heavily focuses on the above message. It contains descriptions of Kosho Shorei yoga exercises and philosophy.